When I started reading this book, I fully expected it would end up in my DNF round up on Sunday. 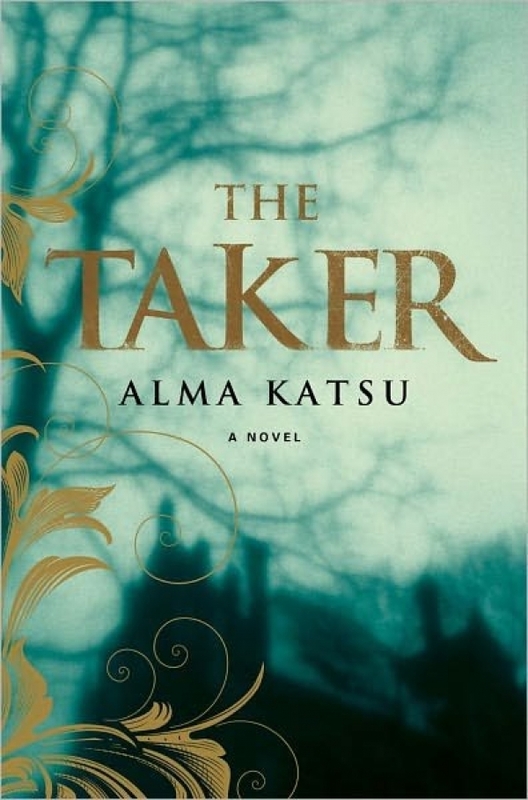 Author Alma Katsu lives in my area, and The Taker, her debut novel, has been getting lots of positive attention locally, and I’ve seen several glowing reviews around the blogosphere. My curiosity was piqued just enough that I picked up an advance copy at the Book Blogging Convention last May, but I put off reading it. Paranormal and historical thrillers like this can go either way with me, and none of the reviews I’d seen came from reviewers whose tastes aligned closely enough with my own for me to know whether this book was a good fit for me. I finally decided to give it a try just to get it off my stack. The fact that it didn’t end up in Sunday’s DNF post is testament to the fact that Katsu has written a genuinely clever story. It’s uneven, sometimes wildly uneven, but I had to see it through to the end. The novel opens in present-day Maine where Luke Findley, a doctor on duty at the local emergency room, is brought a patient who happens to be a murder suspect. The young woman, Lanore, quickly gains Luke’s interest by demonstrating her miraculous powers to heal herself. Luke agrees to help her get away from the cops, and she tells him her story, a story that begins in 1809, when Lanore was a preteen girl with a crush on the ridiculously handsome scion of the wealthiest family in town, Jonathan St. Andrew. Lanore’s story of love and obsession leads to Boston and a household of men and women whose lifestyle is unconventional—and more than a little disturbing. Her relationship with Adair, the head of this household, brings her pleasure, pain, and power beyond imagining. The story itself is immensely satisfying. There are ample twists and turns, some of which I saw coming, but many of which I didn’t. A lot of the time, I genuinely didn’t know what was going to happen next, and I wanted to know. Or I could see the eventual destination but couldn’t work out how they would get there. It’s an ingenius plot, and almost all of the book’s appeal for me lies in the story. It is very dark and involves some violent sexual content, but Katsu generally relies on a pull-the-curtain approach for the worst violence. Outlander and Pillars of the Earth are far more explicit. It’s a good thing the story is so clever because other aspects of the book didn’t work for me at all. The characters are not a bit likable, which doesn’t have to be a problem, but in this case, they’re also not as interesting as they could be. The one exception here is Adair, an out-and-out villain who sometimes displays flashes of humanity. I wanted more insight into him. Lanore had a lot of potential, despite her constant mooning over the unbelievably gorgeous and perfect Jonathan. She’s sometimes appealingly wily, and her internal conflict over her position in Adair’s household provided the beginnings of depth. The trouble is that her love for Jonathan trumps everything and makes her less than she is. This is almost certainly intentional, meant to show how loving too ardently can lead to destruction. However, this theme gets hammered into the ground, as if readers wouldn’t realize it without Lanore’s constant navel-gazing about it. Somehow complexity looks less complex when it’s spelled out. The tone of the book was another problem. This is almost entirely down to personal taste, but I got weary of the dour tone. The general darkness of the story is fine, but I desperately wanted it to be leavened with some bits of fun. I kept thinking of how in season 2 of Buffy the Vampire Slayer, all the scenes with Angel would be unendurable without Spike and Drusilla there lightening the mood. This story needed someone like Dru, parading around and acting as mad as a bag of hammers. The uber-serious tone also made the pacing feel downright ponderous. Lanore does so much self-analysis that the plot gets bogged down. The early section in her hometown almost did me in because nothing was happening, and I simply couldn’t stomach much more teenage angst. Unfortunately, when I get bored with a book, I start picking at the writing, and several times I was brought up short by overworked metaphors (a zipper that makes a sound like the unpeeling of Velcro) and purple prose (usually describing the magnificent Jonathan). I became unreasonably distracted by the question of whether people in 19th-century Maine could be accurately described as Puritans. (Seems late for the term to me, but I’m not an expert.) These are all things I will readily overlook in a book that’s otherwise working for me. If the pace had been kicked up a notch, I probably wouldn’t have been bothered here. However, after all these complaints, I must remind you that the story was good. At novella length, it would have been superbly vicious and fun. It’s the first book in a planned trilogy, and I think it was stretched out too much to make a trilogy workable. However, it could have been far worse. It’s not nearly as long as Elizabeth Kostova’s equally ponderous The Historian, and if you set aside the bits building up toward the next book, the payoff at the end is much better. I confess that I’m curious about where the story is headed. I don’t know that I’ll read the next book, but I’ll be looking for spoilery reviews, just to see whether I’m right about some of my suspicions. However, I think when it comes to sequels to paranormal debuts I’ve read this year, I’d rather go for the follow-up to A Discovery of Witches. That book was every bit as flawed as this one, but a hell of a lot more fun. 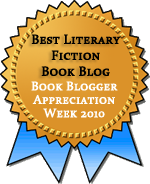 This entry was posted in Fiction, Speculative Fiction and tagged Book Blogger Con Review Copy. Bookmark the permalink. I’m not much a fan of Trilogies or books in series as I find it difficult keeping up. Your review provides an in-depth analyses of this book, your reaction to it and what you think of it. i pretty much enjoyed it and I’m one who think that every book work to some level. And must not necessarily work for everyone. So it’s all good if you found it a bit flawed. I agree that it’s rare to find a book that doesn’t work on some level and that few books work for everyone. That’s why I love hearing different people’s views on the same book. I enjoyed this one too but it had a few issues. The pacing was slow and the I felt like Lanore hid too much and I had trouble with her obsession with Jonathan. While I was fine with the violence being off-screen (there were some scenes I didn’t want descriptions of), I also felt it was a way of getting out of dealing with it for the characters too. As for liking the actual characters, I didn’t. None of them are likable but I enjoyed that. It’s not often I read a book where I don’t particularity like anyone and still want to know what’s going to happen. I have to give the author a lot of credit for that! I’ll probably read the second book out of curiosity but I have trouble seeing how this story will be sustainable over a trilogy. I am interested in the second A Discovery of Witches book though. While I enjoyed The Taker, A Discovery of Witches was a fun read. Maine? How did Stephen King miss this group? Ha! Well, it really only got crazy once the story moved out of Maine. Sadly, I loathed this one — it was almost a DNF for me, but I kept on, and I am a little bitter about it. The historical bits with Laney and Jonathan were tolerable but the rest…ugh. Oh I hate feeling bitter after finishing book! After giving up on several books right in a row, I’m amazed that I finished this, but I really wanted to see where the story was going. The historical part was a lot better than the present-day storyline, which was sometimes really terrible. I am so looking forward to the Discovery of Witches sequel. But when I got to the end of this one I almost screamed in disgust when I realized there would be a sequel. I would’ve been happier had it just ended. I knew there was a sequel before I started, but I am tired of every second book seeming to be the first in a series. It’s the existence of the Patrick O’Brian books (and Margery Allingham and Laurie King and Kate Atkinson) that makes me wish everyone else would stop with the series already! I can’t keep up! I won this on a Friday Reads giveaway and assumed it wasn’t for me. Maybe I’ll give it a try just to see what I think too. You’ve intrigued me. I’d be very surprised if this turned out to be a book for you, Rebecca. It was only barely a book for me, and I was surprised about that!